Vijender had won the bronze in the middleweight division. This time, another boxer from India named Vikas Krishan Yadav is fighting in the same cateogry (75 kg) in the 2016 Rio Olympics. Hopes and prayers for him are high from the whole nation itself. The 24-year-old professional boxer who belongs to Bhiwani will start his Rio campaign on Tuesday. He will fight Charles Conwell of America in the opening match to take place at the Rio-Centro Pavilion. Vikas turns out to be on the seventh position in the middleweight draw in the Rio games. 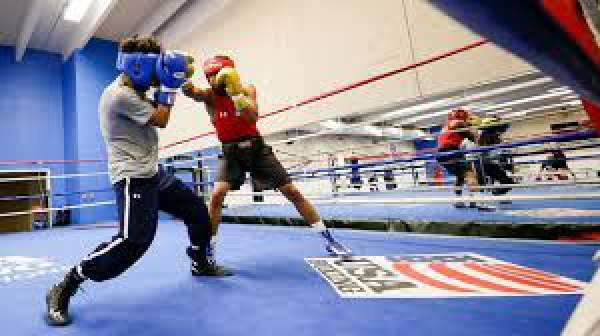 On comparison with other Indian boxers like Shiva Thapa and Manoj Kumar, his oppoenet is easier to take on thsi time. Let’s hope for the best. Vikas won the silver in the 2015 Asian Boxing Championships. He couldn’t do much in the 2012 London Olympics. However, he has been improving himself since then. Now, it is highly expected that he can win against Conwell, the 18-years-old debuting in the Olympics. In the last Olympics, it was an American boxer who knocked out Vikas. For now, the Indian boxer is set to have nothing other than redemption in his mind as he goes for the opening match in the Rio 2016 Olympics. Rio 2016 boxing: Vikas Krishan vs Charles Conwell is set to start at 2:30 a.m. IST (Wednesday) [10 p.m. BST, 5 p.m. EST] start on Aug. 9. India: TV: Star Sports Network, DD National. Live stream: Hotstar. UK: TV: BBC One, BBC Two, BBC Four. Live streaming: BBC Red Button. USA: TV: NBC Sports. Live stream: NBC Olympics. Stay tuned to The Reporter Times for latest Rio 2016 news and all other sports updates across the globe. Don’t forget to share it on social media sites.